Parent's Night Out & Baby Shower for Our Community! 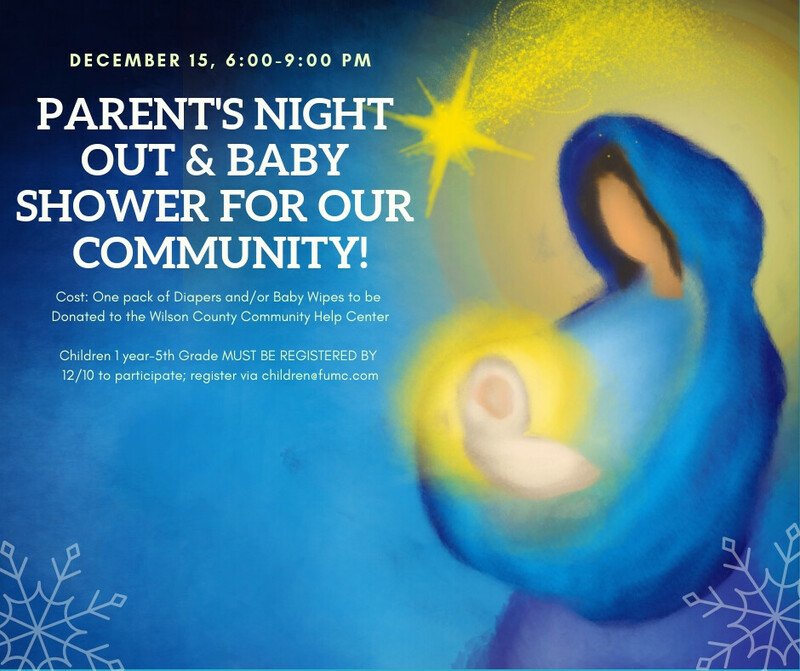 This Special Parent’s Night Out will be available on Saturday, December 15 from 6:00—9:00 PM for children ages 1 year to 5th grade. Cost: a gift of diapers and/or wipes to be donated to the Wilson County Help Center. Deadline to register is December 10!